On behalf of myself, Past Masters, Office Bearers and Brethren thank you for visiting our website, which I hope you will enjoy. I was installed as Right Worshipful Master on the 9th of February 2019 for my 5th term in office. Thank you to the Brethren of Lodge Anima for affording me this great and glorious privilege, I am deeply honoured and proud to have been installed in this office. My installing Masters were Past Masters Bro. Gavin G.Stewart P.M OBE and Bro. Ian D. Brockett P.M I would like to acknowledge the excellent work carried out by them both during the installation ceremony. The remaining Brethren of the Lodge were a great support and they all contributed throughout the day to their usual high standard's. Many thanks to all the visiting Brethren who attended my Installation. Your attendance was greatly appreciated and helped make a special day even more memorable. 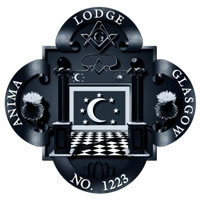 During my year as RWM I intend to build on the solid foundation that has been established by Lodge Animas’ Past Masters. I look forward to visiting many of our sister Lodges within and out-with the Province of Glasgow and further cementing the bond of friendship between us. May I take this opportunity to extend an invitation to all Lodge members and Brethren within the Craft to attend our regular meetings throughout the year and I can assure you that you’ll be warmly received.